Aspens Senior Living sold the property, The Aspens at Wade Park, to a joint venture between The Carlyle Group and Greystone Real Estate Advisors. Greystone Real Estate Advisors closed on the sale of the 162-unit age-restricted community, Aspens at Wade Park. 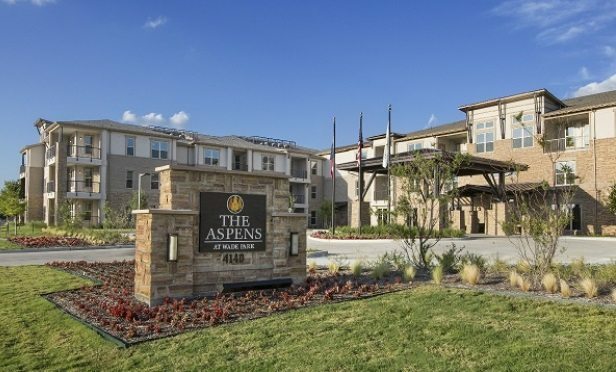 FRISCO, TX—The Aspens at Wade Park’s age-restricted asset type fits a unique niche within the market and provides an affordable alternative to full-service independent living while maintaining class-A quality and amenities. Greystone Real Estate Advisors recently closed on the sale of the 162-unit age-restricted community.